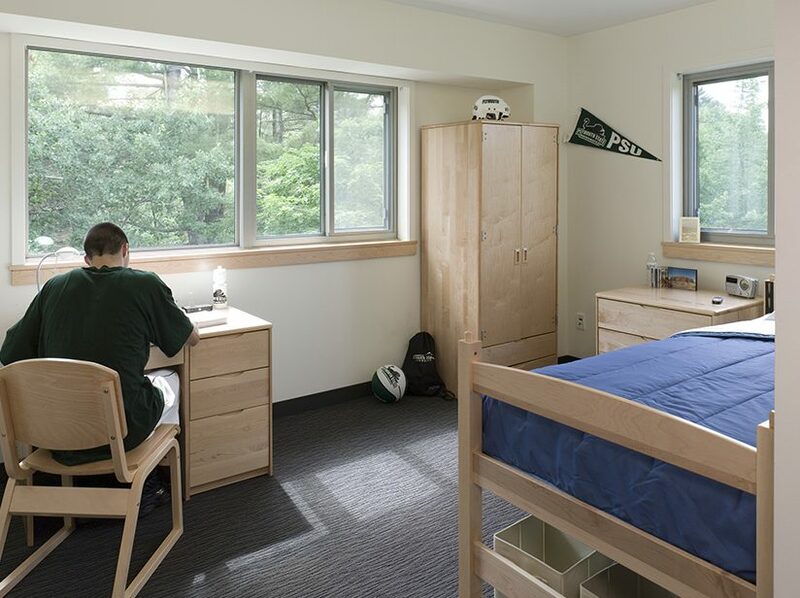 Plymouth State University’s LEED Gold certified residence hall is designed in an organic relationship to the site topography and the surrounding woodlands and wetlands. The building conforms to the slope of the site and the path of the sun, maximizing daylight in all living spaces. 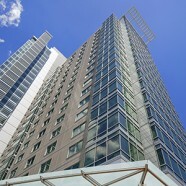 Glass connectors between the building components provide common areas for social interaction as well as further enhancing the facility’s integration with the environment. 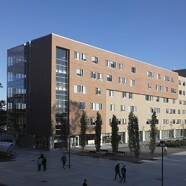 The project was conceived in response to the university’s desire to bring students back to on-campus housing, and offers suite-style living options as well as hotel-type single and double rooms as part of the 347-bed, highly-sustainable project which incorporates energy-efficient building systems, low-emissive insulating glass, sustainable plantings and stormwater management. 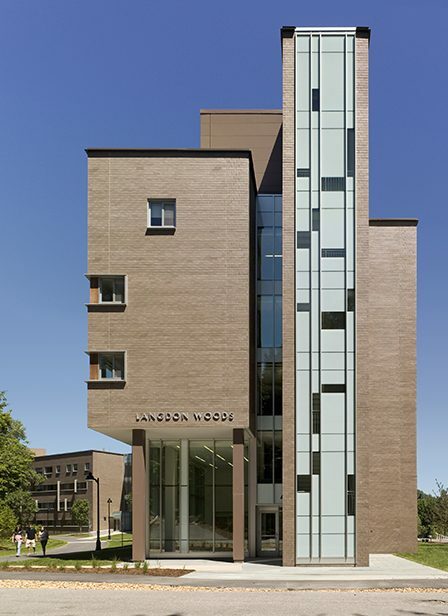 However, the real story of Langdon Woods extends far beyond the implementation of a host of sustainable strategies. 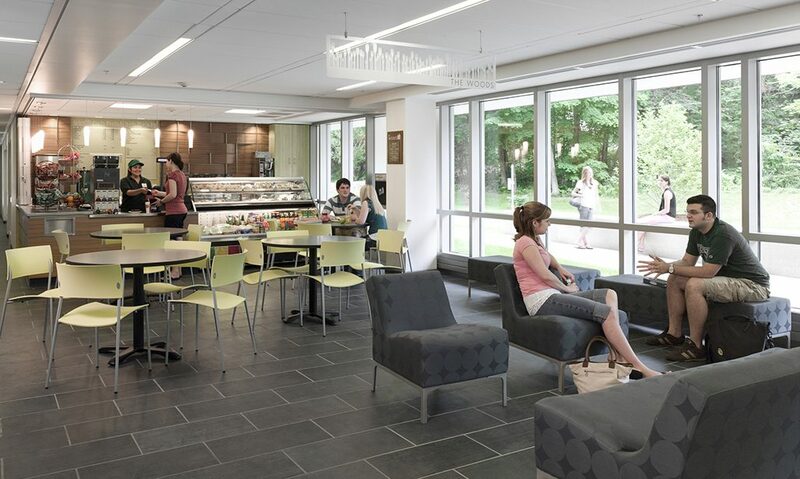 The design process thoroughly engaged the Plymouth State University community and fostered a bedrock commitment among students to campus-wide sustainable practices, laying the groundwork for future sustainable initiatives. The workshops sparked the enthusiasm of students and faculty so much that green practices were incorporated in to course curricula. 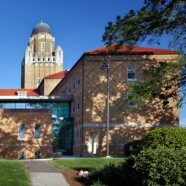 An environmental class computed the carbon footprint for the production, processing and transportation of the project’s construction materials, and an environmental psychology class developed an ethical manifesto delineating a sustainable campus philosophy embracing environmental stewardship. 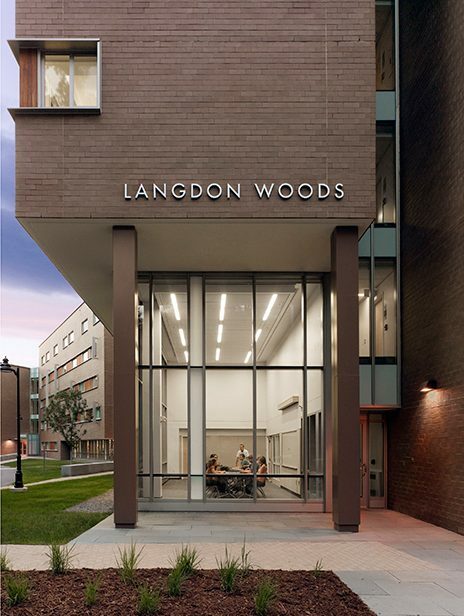 Langdon Woods is the foundation of a comprehensive environmental awareness program the university is incorporating into all of its campus planning. 113,000 s.f. | 10,498 s.m.